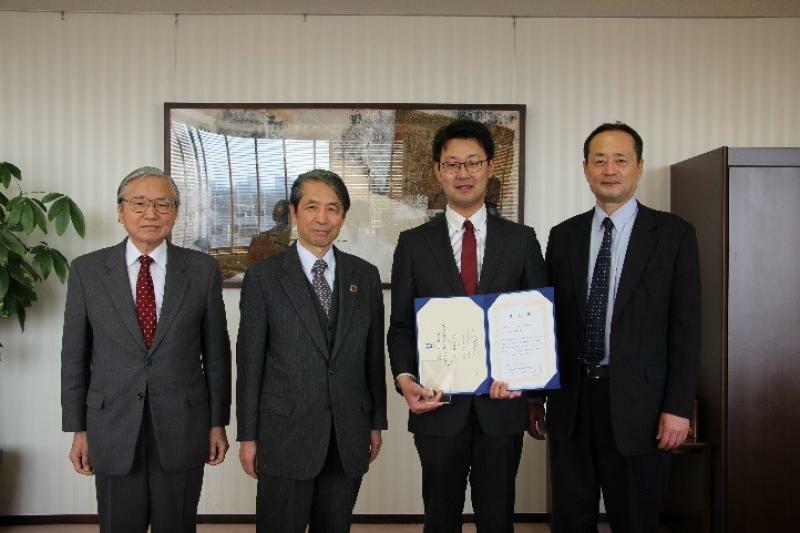 Takaaki Miyaji, a Research Professor at the Advanced Science Research Center, won the “Award for Okayama University Young Top Researchers” for his great achievement in the study of eukaryotic transporters. This award founded in AY2007 and honoring young researchers who have achieved outstanding results is annually granted to 2 researchers both in the fields of science and humanities. 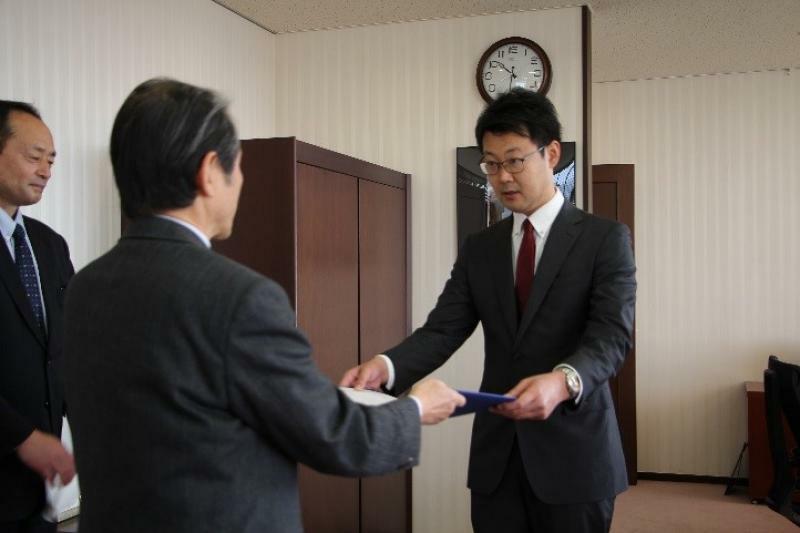 Research Professor Miyaji is only one researcher awarded in the scientific field this year. Research Professor Miyaji has studied eukaryotic transporters, and he and his research group identified a vesicular transporter carrying chemical mediators of asparagine acid, adenosine triphosphate (ATP) and polyamine by using their original experimental system for the first time in the world, to investigate the association of transporter with pathological conditions which will lead to new drug development and the study of plant transporters. Award winners are determined after careful consideration based on various evaluation criteria, such as research achievements, external funds acquired, and internationality to foster young researchers who can play on a global stage.